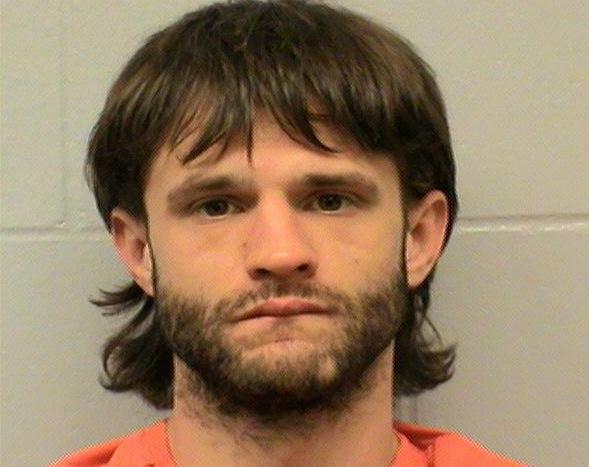 On Tuesday, May 20, 2014, the La Crosse Police Department arrested Jacob R. Lewis (DOB 3/13/1984) as a result of an investigation initiated after Neighborhood Resource Officers Nathan Poke and Dan Ulrich received complaints from neighborhood residents. The complaints pointed to possible drug activity at 907 5th Avenue South in La Crosse. NROs Poke and Ulrich, along with members of the Investigative Services Bureau, made the arrest after Lewis sold methamphetamine to a police confidential informant. This arrest would not have been made possible without collaboration between neighborhood residents and the Neighborhood Resource Officers. For more information about the La Crosse Police Department Neighborhood Resource Officers, visit a previous story: “Community Policing Partnership“.